Do you ever wonder why people spend their money the way they do? Why take an expensive Uber when you can walk 20 minutes to get to the same place? Why pay for first-class tickets when we’re all going to the same place anyway? Growing up in Sacramento, I used to see guys who loved buying old cars and repairing them. I didn’t get it. Why spend money to create more work for yourself? Later I realized I was looking at it all wrong. In fact, now I completely understand why people would pay money to do any of these things. It’s all about Money Dials. The above are five examples of our Money Dials, and I’ll share all 10 Money Dials below, but if you had $25,000 to spend on any of the above, which would you put your money into? Your answer — the one you instinctively came to within seconds — is likely your number-one Money Dial. Knowing your Money Dial can transform the way you think about your spending, because it lets you understand what you spend money on and why, and it enables you to redirect your spending from other areas to spend extravagantly on your Money Dial. THIS is what true Conscious Spending looks like. You might recognize this concept in my Conscious Spending system. Money Dials are the evolution of that system and zoom in on the concept of spending extravagantly — guilt-free. Let’s take an example: LeBron James. He spends $1.5 million a year keeping his body in top form, according to this article from The Ringer, investing in nuanced health-promoting practices like cryotherapy and hyperbaric chambers. Not to mention his personal chefs and trainers who help him adhere to a strict diet and routine. Everything in his life, down to the last detail, is focused on achieving peak physical fitness. He’s not just spending $100 on a massage and calling it good. His number-one Money Dial is health and fitness, and so he’s architected his life and finance around physical fitness and investing a significant amount of money in it. Fitness isn’t the only Money Dial, though. For example, I have a friend who’s in his 40s and earns multiple six figures every year working in tech. He has enough money to do basically anything he wants to do. He can travel the world. He can retire early and buy a bunch of cars. Instead, he chooses to live in Palo Alto — one of the most expensive areas in the U.S — to be close to his family. He’s not considered rich there. If anything, he’s middle class where he lives. He also chooses to send his kids to private school, which costs tens of thousands per year. To top it off, he just bought a house AND he’s building a dream house with a special suite for his parents. He chose to make his relationship with his family his number-one Money Dial. The trade-off means he almost never goes on lavish trips or buys anything fancy for himself — but none of those things matter to him. The common theme between LeBron and my friend is that they’ve built a life that allows them to spend extravagantly and unapologetically on the things that truly matter to them (fitness and relationships, respectively), but also allows them to cut costs mercilessly on the things that don’t matter. This is the power of Money Dials. To find your Money Dials, you just have to ask yourself one question: What do you LOVE to spend money on? What a judgmental reaction — as if it’s forbidden and downright evil to spend on the things you love (and have the means to). But what if we take these same judgmental people and examined their spending for a month? I bet you I’d be able to find areas in their life where they’re “wasting” their money, too. It’s OK to recognize that you have areas you naturally love and want to spend on. What others think of your spending doesn’t matter because everyone has different Money Dials. It’s simply a matter of different priorities! In other words, what you value will be different from what others value. If you LOVE to spend your money on week-long trips to exotic locales every week, but someone else would rather spend that same amount of money on having the latest iPhone, then that’s great — and perfectly normal! It’s just being true and honest to ourselves and what our Money Dials are. In fact, when we’re honest about acknowledging our Money Dials, we can adjust the dial (hence the term) as we need to be moderate or turn them all the way up to spend even more on the things that bring us joy and more pleasant experiences (think splurging on first-class tickets instead of economy all the time, for example). Not only will we have more money and energy to spend on the things that bring us happiness, but we’ll be able to spend on those things guilt-free, since we know we’ve freed up the money by ignoring everything else. The most successful people I’ve met are all very conscious about how they spend their money. That doesn’t mean they don’t spend at all. It means that they choose HOW and WHERE to spend their money, and are unapologetic in allocating significant resources to live a better life. Do you know what you naturally gravitate toward spending on? Most people don’t — even though everyone tends to have a few overriding priorities for their discretionary spending. When it comes to Money Dials, though, people’s spending almost always matches up with these 10 priorities. I want to take a look at the four most common Money Dials. As you read, take note of how they fit into your spending habits. This Money Dial means spending on anything that makes your life more convenient. People with the Travel Money Dial spend heavily on travel. If you turn this Money Dial all the way up, it means traveling for months every year; joining a travel group; splurging on high-end travel experiences like a safari, Inspirato membership, or multi-generational travel; and developing strong perspectives on travel, including which friends to invite, how much “authenticity” matters, and specific parts of the world to return to. This Money Dial is becoming more and more common, especially in big cities. This Money Dial focuses spending on fun and unique experiences. Well, I have a newer version of that: Show me a person’s spending, and I can show you what they love. People go to where their time and money go. Fit people spend time and money being fit. Fashionable people spend time and money on fashion. Etc. People often get their own spending priorities wrong. For example, some might say that family is their #1 priority, but if you looked at their calendars and spending, family isn’t even in the top 10. People’s Money Dials are an easy way to determine what they claim is important vs what is actually important. A lot of people say they love to travel, and when they actually do spend money and time on it they have a miserable time and just want to be back home. Clarifying their Money Dials can allow them to refocus on what’s important to them. My favorite part of Money Dials: Once you recognize yours, and you accept it, you can zoom in on what you love by turning the dial all the way up, as I’ve done for myself for convenience. This might seem extreme to some — but for me it’s a complete no-brainer. Because I know my Money Dial and can focus on it, I actually free up time to invest in my company … and I can earn even more money as a result. Here’s my challenge for you to do this week: If you can afford to, take $500 and spend it extravagantly on something you love. That’s going to be a lot of money for some of you — but that’s the point. Spending money on the things you love can be uncomfortable at first. Especially when you consider all the Invisible Scripts, the ubiquitous assumptions that we no longer question in our lives, and noise around spending. Guess what? I’m giving you permission to put that $500 toward your Money Dial this week. What’s your #1 Money Dial? What are you going to do with your $500 to start implementing it this week? My Money Dial is my health. I buy Organic herbs and supplements. I love eating healthy. I alway make my own meals. I love to get the most nutrition with the least amount of calories BUT it has to TASTE SUPER DELICIOUS and it does. 🙂 Thanks Ramit. This brings such a huge amount of clarity into my life! As for I, my money dial is convenience. I'm not into fancy watches, luxury cars, private jets, or any other money dial you mention in this article. I only care about the pursuit and achievement of my goal which is: "Buying Tottenham Hotspur"! And to do that, I need to optimize every aspect of my life in order to dedicate myself to the task which matter. 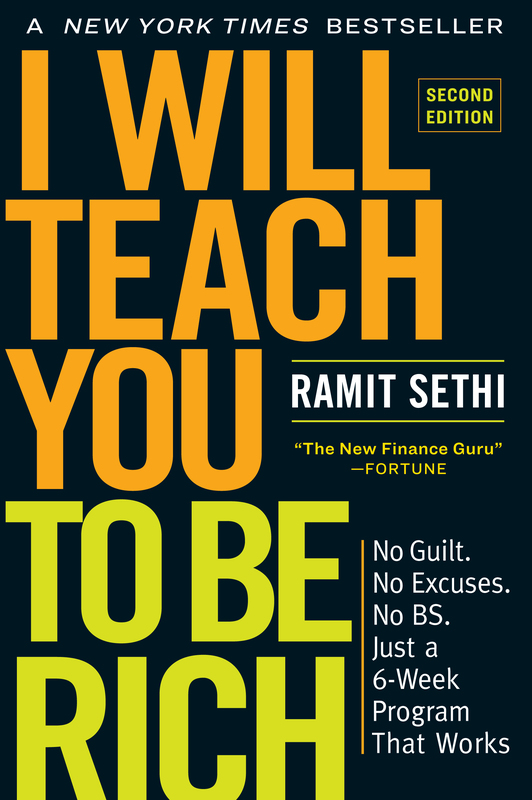 Thank you for such an incredible piece of content Ramit, I'm sure this will help me become a billion times more focused since I've just become more self-aware! Health! Books- reference, fiction, self-help, educational! Art Supplies! Art workshops! Materials for gifts for family and friends! If I had 25K I would update my kitchen, buy a FIR sauna, Molekule air filters and a Burkey water filter. Wow, I am absolutely defined by the above. That actually makes me smile. Thanks for that, Ramit! Health and experiences! After some thought I realized most of what I think and plan for revolves around nutrition, recovery and rehabilitation for my job and the things I love to do (Most of the time, they're one in the same). I plan on building in a chicken coop for eggs, a green house for vegetables, and a DIY dry sauna in my home. Experiences are also hugely important to me as they are shared memories with the people I care about. Something that will last a lot longer than anything I can buy. My $ dial is 1) eating out in great restaurants and 2) sharing what I have with family and friends. So I would split this $500 in 2 and take several great friends out for dinner and pay the bill (including tip); and then take my small family out for dinner ditto. This way I get 2 dinners out too!